Dreamy folkie or doom-metal goth? Party girl or paralyzed wallflower? 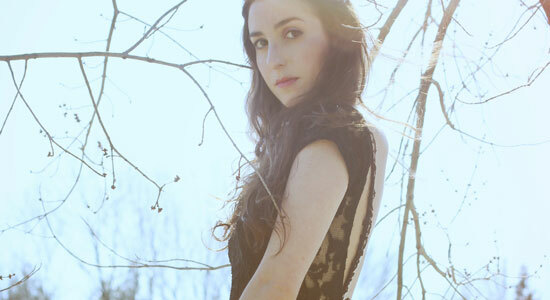 Yes, yes, formerly and forever, says Massachusetts singer/songwriter Marissa Nadler. Debuting in 2003 with the self-released Ballads Of Living And Dying (a macabre, wintry decree by a 23-year-old ice queen, rife with literary allusions and unambiguous in title only), Nadler found herself eight years later back on her own, her crystalline hymns slightly thawed on 2011’s Marissa Nadler (the first release on her Box Of Cedar imprint) and her skin greatly thickened from a brief courtship (and briefer contractual release) by Kemado Records and offshoot Mexican Summer. In a lengthy telephone conversation from her home office outside Boston, Nadler apologizes to MAGNET for the ’90s, opens up about sixth album The Sister (due May 29 on Box Of Cedar) and locates her musical sweet spot between Tammy Wynette and Sunn O))). 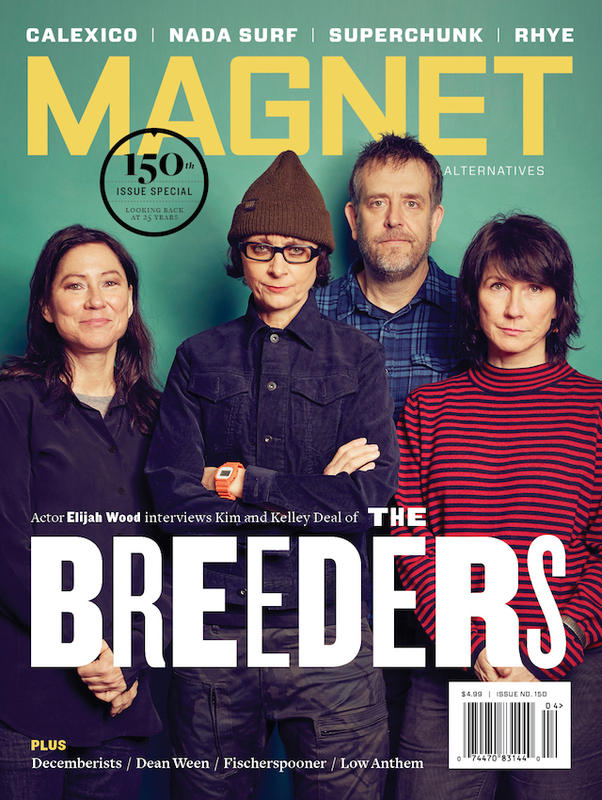 Nadler will also be guest editing magnetmagazine.com all week. MAGNET: How difficult was it to get Box Of Cedar off the ground? Nadler: It was definitely a lot of work. It’s cool to have freedom to release music whenever you want. I like to be prolific, to do cover songs all the time. I feel a lot more freedom to do things like that. Was there extra motivation because of what happened with Kemado? I don’t want to get too much into that particular story, just because it’s been widely written about. It wasn’t really my choice. I kind of made the best of it. I’m really excited to see that my self-titled record did better than a lot of the other records. And it did so without anybody else’s help, so that’s cool. I didn’t have the best luck with record labels. I never found one that was a mutually rewarding experience. Did the release come out of the blue? It wasn’t something that was expected. After that, I didn’t want to go through the process of searching for labels, waiting a year to find somebody. I was going to self-release the record, then decided to make it official. I had found somebody to distribute the record and went through all steps that a label would. I knew that some people would buy it, this small cult. I was surprised, definitely. I don’t harbor any ill will. It seemed odd, given how well-received Little Hells was. And the whole Mexican Summer thing. Mexican Summer was named after my song, then they dropped me from the label. It was a tough experience, in terms of having trust and faith in the music industry after that. I knew it was about money and record sales. The record got good reviews. I just don’t think it sold enough to keep me on. There’s only so much you can take. On a smaller level, there’s things you just can’t do. It just takes too much time. I’d rather focus on the art. How is The Sister related to Marissa Nadler? Obviously I wasn’t going to make an 18-song record. The first session for the self-titled record, there were a couple of songs I liked that didn’t fit in stylistically. I put a couple songs aside, some more stripped down ones. (The Sister‘s) “Your Heart Is A Twisted Vine” has instrumentation similar to (Marissa Nadler‘s) “In Your Lair,” and I wanted variation between the two projects. There was a little bit of lament that I didn’t play much guitar on the self-titled record. I consider myself equal parts a singer and a guitar player. There were a couple of songs I don’t play (guitar) at all. I’m not that good as a strumming guitar player. This record, I made a concerted effort to get the 12-string out and make it a little more organic. Did you give any thought to pulling a Joanna Newsom and putting out a mega album? I would if I could afford it. If I had a label, I would’ve made a different record. I kind of consider this a double record, separated by a year’s time. I consider The Sister a mini record. It’s not really an EP. If there was a word for a novella musically, that would be what it is. I had gone to the studio for the self-titled record with a lot of songs, because I had this long period where I was writing a lot, and a lot of life experiences happened: moving to different cities and being kind of lost and aimless. There seems to be a shift toward more country sounds on these albums. In between when I recorded Little Hells and the self-titled record and The Sister, I was listening to a lot of Tammy Wynette and Sammi Smith, these old balladeers. One of my best friends is a music writer who’s always been giving me really great singers. He could tell I had this proclivity toward these old-time great singers. I think that influence has kind of seeped in. I don’t have a country band, but I think it’s part of my writing style. Early on, I was more influenced by shoegaze. Now it’s become more gritty and dirty, more country. It’s certainly much darker subject matter. The self-titled record is about moving on from this love I was hung up on for a long time. [The Sister] talks about how I dealt with that. “Apostle” is about alcoholism: ‘You say it’s time to put away the bottle/I don’t remember what you said.” I thought that was funny in a sadistic way. I spent so many years on tour. I’ve had this crippling stage fright my whole life, and severe social anxiety. So I was trying vices, which I think would surprise a lot of people, because I have a very demure public image, I think. I don’t think people would expect that I was this partier at all. That particular song, the instrumentation, I’ve been really influenced by John Fahey and contemporaries like James Blackshaw. James and I toured together. James taught me how to put that 12-string in that specific tuning. I wanted that and “In A Little Town” to show that particular side of my musical personality. You really bring your audience in closer than ever before. There’s been a shift in my songwriting to be way more honest. I used to kind of write stories with my songs. I would talk about people I knew, but in a fictional way. If I got my heart broken, I would write a story about people getting their heart broken. [“Apostle”] is really about a relationship that’s on the rocks because of certain vices. It’s definitely pretty exposing. I’ve been having anxiety about how bare this record is. I hope people respond well to it. And not … not well. I was excited that people responded (to first single “The Wrecking Ball Company”) in a good way. Some people said that song sounded stripped down, and that’s the most built-up track of the record. I bounce back and forth between styles, in terms of wanting to do more intimate music versus band stuff. Carter Tanton was in my touring band. My drummer moved to Paris. It’s kind of who’s around that I have a good musical chemistry with. Mike Fiore does a lot of the beautiful harmonies with me. He’s in a one-man band called Faces On Film. Brian McTear produced both. He produced the second record (2005’s The Saga Of Mayflower May), too, years and years ago. I was going through some weird phase of wanting to be an opera singer. I’m embarrassed; not by the production, because he did a great job. But I grimace, like, “Oh god, why was I singing like that?” I don’t have the affectation in my voice at all anymore. Brian still loves that record. I can’t even listen to one song. When you’re young, you make these choices. I was hanging around people who influenced my singing style a lot. It’s hard when you start out with one certain style to lose that association. I wish I could go back in time. Maybe if I hadn’t covered Pablo Neruda and Edgar Allen Poe in my first record, I would not have to work so hard to prove to people that I’m not this total goth. But, I mean, I kind of am. How did you and Brian hook back up? I toured with Sharon Van Etten. I loved (2010’s McTear-produced) Epic; I thought it was so well-produced, and great songs. It occurred to me after the label thing: Why not go back to people you trust and work well with? I called Brian and he was really excited. He just let the vocals shine. Doesn’t try to add too much. I’m auditioning a new band. A lot of bandmates moved out of Boston. I stayed because it’s close to my family. It feels like home. I’ve been playing with guys who learned songs before first practice. Nice guys. And they all sing harmonies. I’m kind of a loner, so it’s been hard for me to keep a band. Right before my first band practice, I was afraid to meet them. I was worried what they would think of me, even though they were auditioning for me. I was having heart palpitations. My boyfriend was like, “What is wrong with you?” I have a very warped sense of self. This record is a part of myself. I keep harping on all these things I wish I could change. I think that’s probably a good thing. But maybe not. My brother is a writer. We both have this work ethic. Not satisfied with one piece, move to the next. Do any of the things written about your voice embarrass you? The whole “voice that could lead men to their deaths at sea” thing? I’ll take it. It’s definitely a compliment. I don’t mind when people write things about my voice. It’s something I work at, spend a lot of time practicing. I spent most of high school in the art room. I was not in chorus, but I was in a band. I was more of a punk back then. Pink hair, combat boots, army fatigue pants. It was the ’90s! It was not pretty. I really loved grunge music. I wanted to sing in Babes In Toyland. Even Courtney Love; I think she reached a lot of teens at the time, young girls with a lot of angst. When did you realize you had this voice? I didn’t realize I could sing pretty until I was like 18. I got a little bit of a late start. I’ve been playing guitar since I was 13 or 14. When I was at [Rhode Island School Of Design], I was going to open-mic nights. I was practicing a lot. I started to take it really seriously when I was 17 or 18. Up until that point, I didn’t think I had a good voice. I still have a lot of limitations. There’s a lot of singing styles I cannot do that I wish I could. I think, with all singers, you have to make the most of what you have. More than singing, I was working on songwriting craft. I would listen to a lot of Elliott Smith and Joni Mitchell, people like that. What was collaborating with Xasthur like? That was a really fun project [2010’s Portal Of Sorrow]. I think a lot of people thought it was a really odd pairing, but to me it really isn’t. Because the music is both definitely focused in isolation and loneliness, a lot of the basic human emotions. I’ve always loved to sing ambient vocal passages. It gave me the freedom to do that without lyrics and structure. That was fun. If Xasthur makes another Xasthur record, we’ve talked about doing something else together. How did you meet Scott Conner? My old bass player Jonas (Haskins) was briefly in Earth. He knew Scott from tour. Scott said he liked my voice and asked if I’d sing on a record. I really love heavier music. I hadn’t been familiar with black metal, but I was familiar with Earth and Sunn O))), those heavier drone bands. I really like that kind of music. I would love to do more of that stuff.